My Wacom Intuos 5 - PTH850 Tablet have one the following SMDs (the lower one, USB Data -) cracked. Could you help me identifying which component is? I know each component bridges USB data + with ground (upper one) and USB data - with ground (lower one). None of them have any code (or at least I can't see any). I will try to get a better picture asap. These are some TVS (transient voltage suppressor) elements. Before going for identification and replacement, you need to check for port functionality first. If one is cracked, just remove it and test the port. Or better remove both TVS. The suppressors are needed to protect against ESD, and don't affect USB functionality at normal signal levels, so the USB should work without them. If the port is working, you are lucky, and you can try to find the replacement. 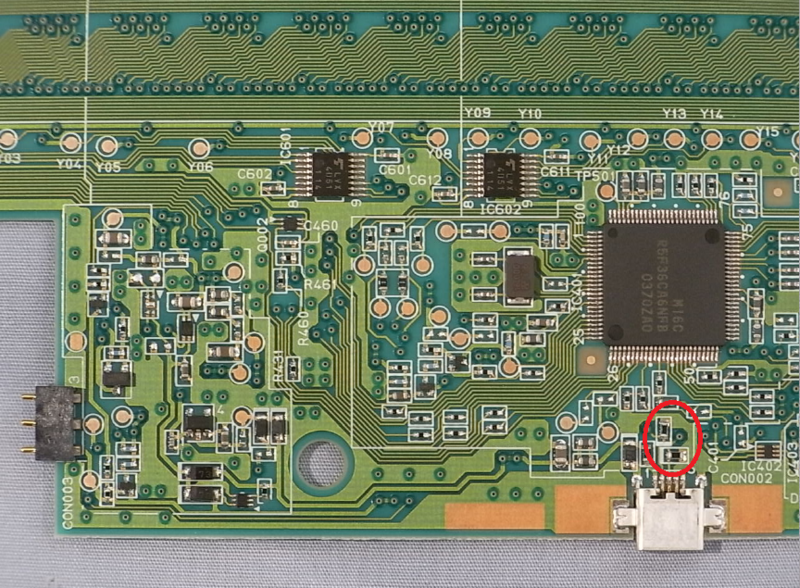 If the USB port doesn't work after removal of suppressors, your USB lines are likely fried internally, and the whole tablet's board needs replacement if you need the USB functionality. Not the answer you're looking for? 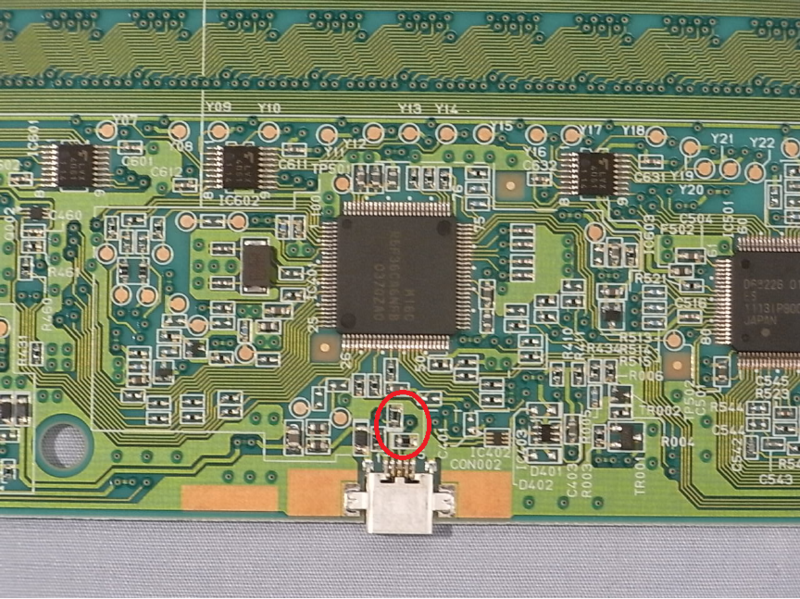 Browse other questions tagged identification surface-mount repair or ask your own question. Is this an SMD Pulse transformer?